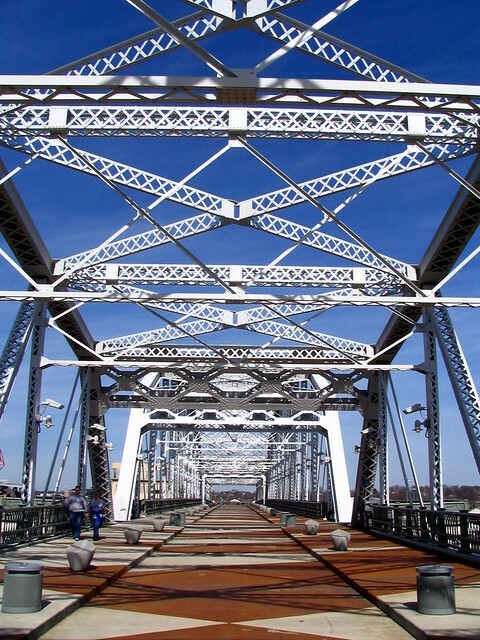 The Walnut Street Bridge is a Six-span through truss bridge over the Tennessee River on Walnut Street. 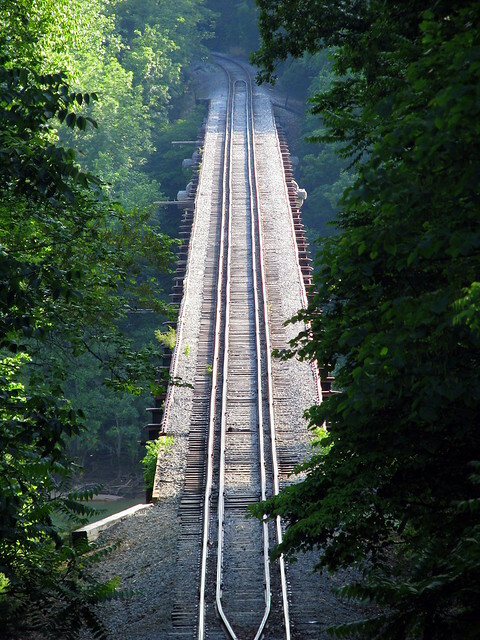 It opened in 1891 and is a length of 2,370 ft. 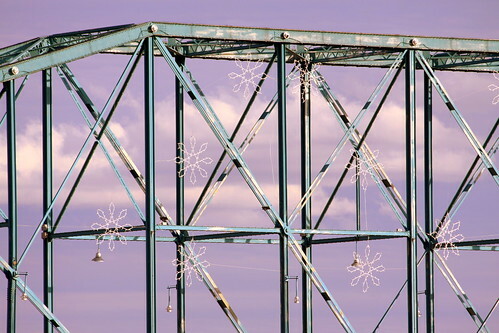 The bridge was closed to auto traffic in 1978, sat in disrepair for about a decade and then was converted into one of the world's longest pedestrian bridges. 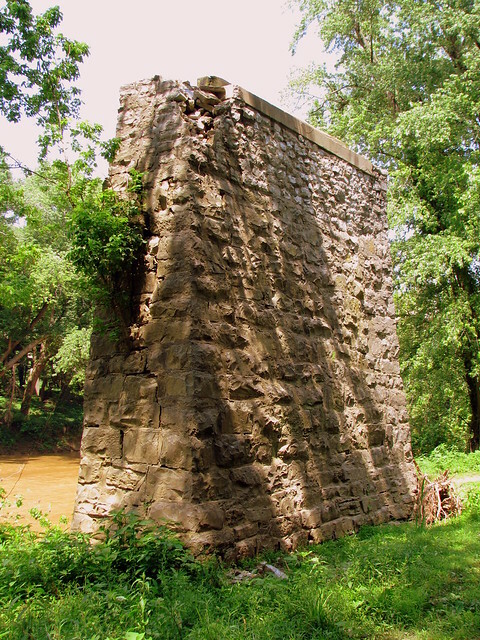 Now, the bridge is on the National Register of Historic Places. There is not one place you can go to find every historical marker in Tennessee. Part of the reason for this is there are different organizations which supply these markers, such as state and local historical commissions. While some of these organizations have a guide, it can be tough to merge them all together in one collection. My goal is to do just that. Now, it is quite an ambitious goal, and it may never be possible to get to every single one in the state, or even really know how many even actually exist. 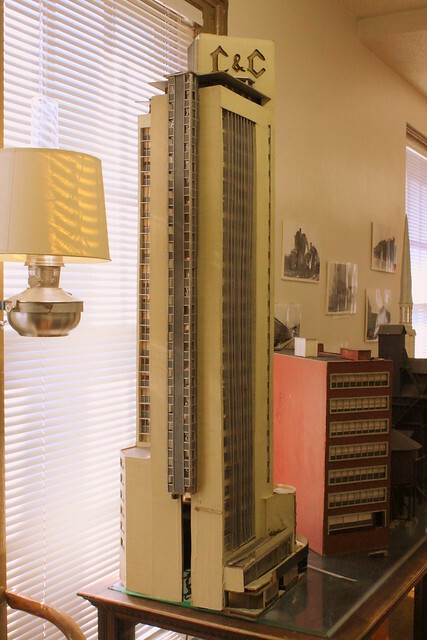 On this page, I have taken all of my Tennessee Historical Marker photos (over 1000 and counting) and organized them into several galleries, sorted by geographic regions across the state. Also whenever possible, I provide the marker's location in the description, such as the road or highway it is located on. 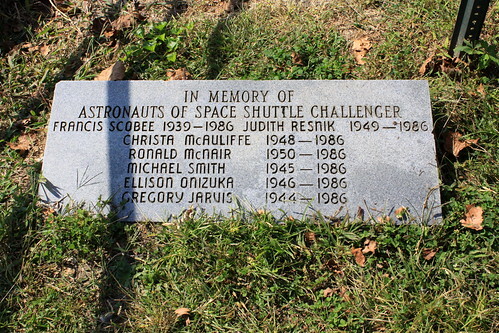 Located on the bank of the Toccoa River by the old bridge in McCaysville, GA is this memorial to the seven astronauts who died in the Space Shuttle Challenger disaster. The Challenger disaster is one of the most common "Everyone remembers where they were when they found out" moments. I was in the 2nd grade and when we got out of PE class, our teacher told us about it. My older brother was a huge NASA fan and when I got home from school, we watched the live news coverage for a good part of the afternoon. 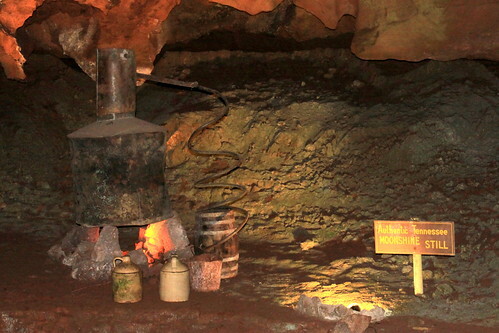 Decades ago, before the sea at the bottom of the cave was found, there was a bar inside the cave (or Cavern Tavern), with multiple moonshine stills. One of the problems with this is the atmospheric conditions inside a cave counteract the effects of drunkedness and bar patrons would drink more than their usual limit. The lack of sobriety wouldn't be noticed until attempting to climb all of the stairs out of the cave. As our tour guide put it: The higher you get - The higher you get. 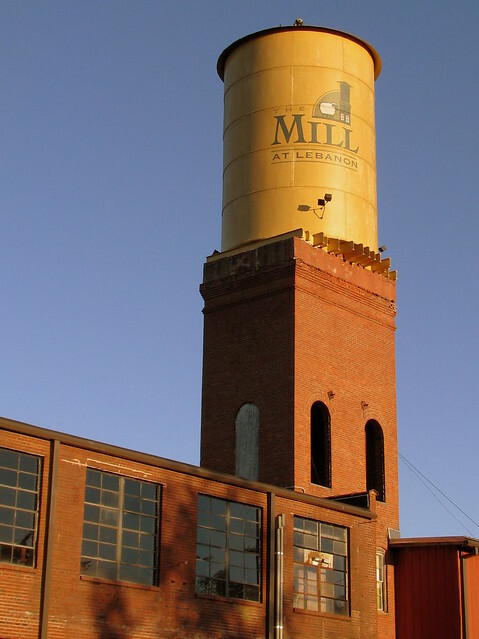 The Factory at Franklin has turned into a commercial success so a few years ago, investors decided to turn the historic but abandoned Lebanon Woolen Mills into an adaptive reuse shopping center with retail stores, dining, office space and meeting facilities. 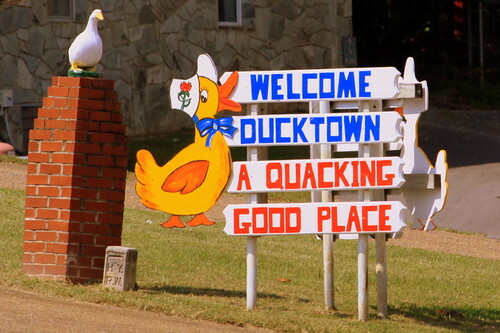 Ducktown is a small town in Polk County, TN, in the southeast corner of the state. 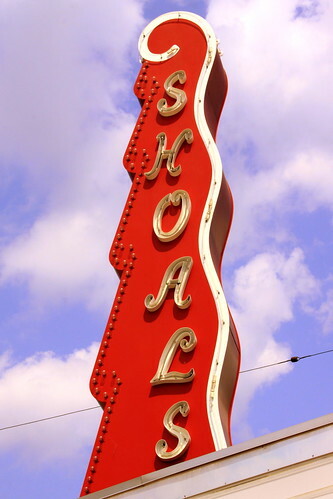 This sign is seen where highway TN68 meets Main st. It's also the only reference I found to the city's waterfowl namesake. 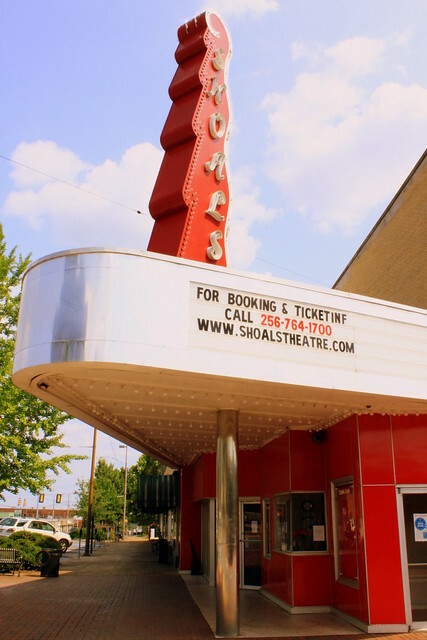 If you've been to Rock City before, but prior to 2012, there's a good chance you've never seen this before. 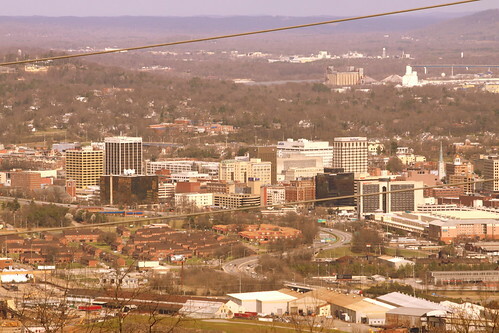 As part of Rock City's 80th Anniversary celebration in 2012, they made the former sight accessible to the public again. I had heard of it before this year, but only from vintage post cards. In the early years of the park, this was seen along the Enchanted Trail. However, when they opened Fairyland Cavern the route needed to be changed. Now, at the spot where the old trail used to go, visitors are encouraged to watch their step and travel the short distance up the uneven path and see it again. It is what it is - a large stone that resembles a face, and it must be an unpleasant face since they called it a witch and not a fairy or a princess. For good measure, that pipe was added to the witch's mouth. 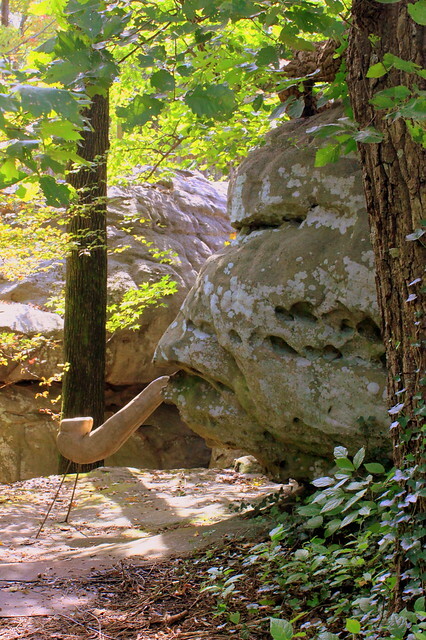 More recently, the support beams have been added to hold up the stone pipe. As it turns out, now that I know where it's located, it can be seen from the more modern alignment of the trail and you can see it from the other side. But, since it doesn't resemble a stone witch from that side, nothing told you to look at it. 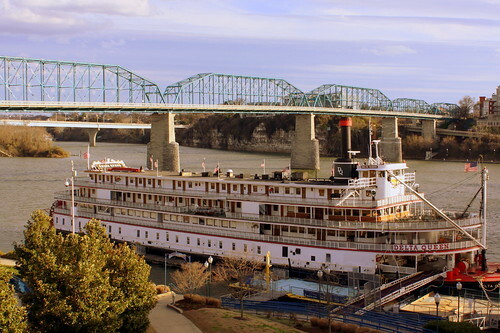 Port Royal is a Tennessee state park, mostly in Montgomery County remembering many of the states earliest settlers who lived here and various forms of transportation through the area. For many years, the main remaining sight here was an old wooden covered bridge. Built in 1903, the original alignment of Port Royal Road crossed the Red River here. The bridge was in use until 1955 when a more modern bridge was built. 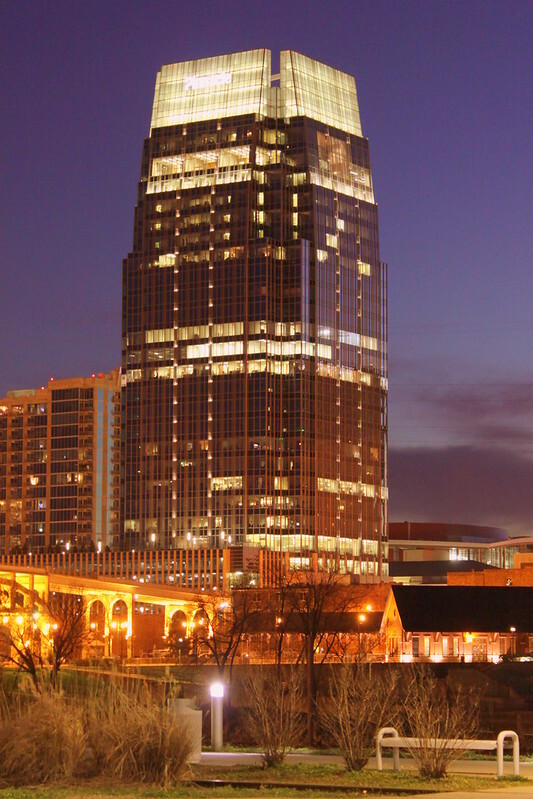 The Pinnacle opened in downtown Nashville in 2010 becoming the fourth tallest in town at 417 ft with 29 floors. 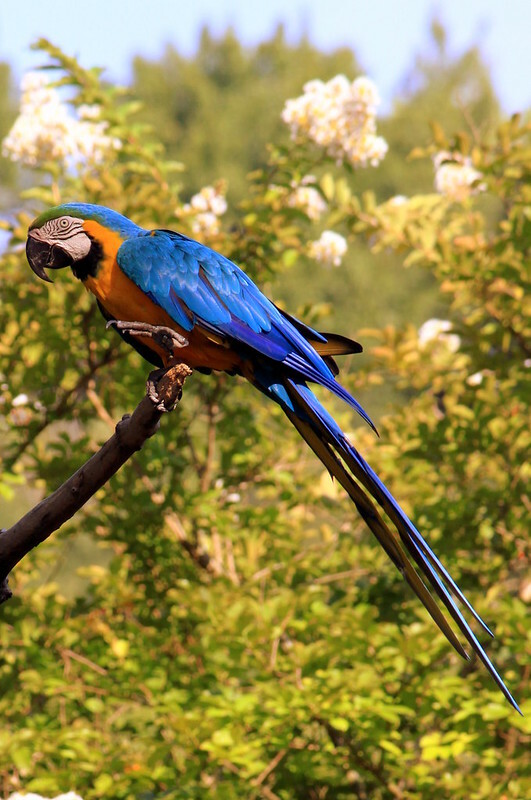 This species of Macaw, is a large blue (top parts) and yellow (under parts) South American parrot, a member of the large group of Neotropical parrots known as macaws. It inhabits forest and woodland of tropical South America. They are popular in aviculture because of their striking color, ability to talk, ready availability in the marketplace, and close bonding to humans. In 2009, a construction project along US31 about 2 miles south of the middle of Franklin unearthed human bone fragments in an area that was part of the Franklin National Battlefield. Forensic anthropologists determined that these were the remains of a Civil War soldier. Also found were six Union tunic buttons and a Minié ball, although it was impossible to verify whether it was a Union or Confederate soldier. 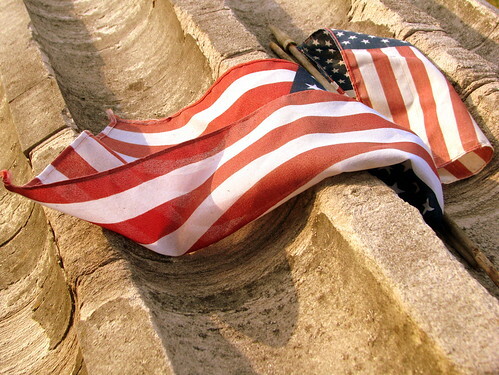 Accordingly, he was designated an Unknown War Soldier, an American who had died for his country. On Oct. 10, 2009, the community honored this soldier with a period military funeral at St. Paul's Episcopal Church. After the service, a horse-drawn caisson and honor guard carried the coffin here at Rest Haven Cemetery. Several thousand spectators and national media were in attendence, as scores of reenactors conducted a burial, and upon the grave they poured soil from the 18 states represented at the Battle of Franklin. Also present were two actual sons and a daughter of Civil War veterans. 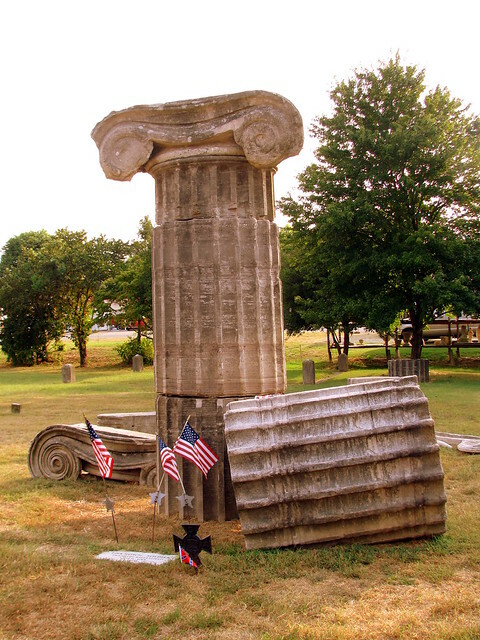 Marking the grave are original column sections from the Tennessee State Capitol from 1856, which now stand in remembrance of all unknown soldiers of the American Civil War. Duck River Slackwater Navigation Co. This is one of a series of small murals painted on the side of a building in the middle of Columbia, TN, just a block north of the town square. These murals were painted by local artist Bonnie Callewaert. I had never heard of this company or Slackwater Navigation in general. 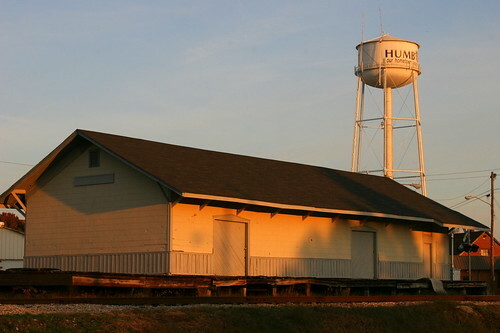 The company operated along the Duck River between Columbia and Centerville in the 1840s. Seen early in the morning in downtown Memphis when there was some morning fog. 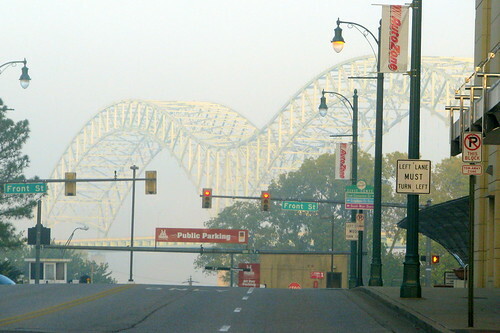 The double arch bridge opened in 1973 to connect Tennessee and Arkansas via Interstate 40 over the Mississippi River. This 1877 house served as office and quarters for the cemetery keeper until 1931. The design of the building is Second Empire, which is characterized by gables and a roof consisting of two slopes on all sides. 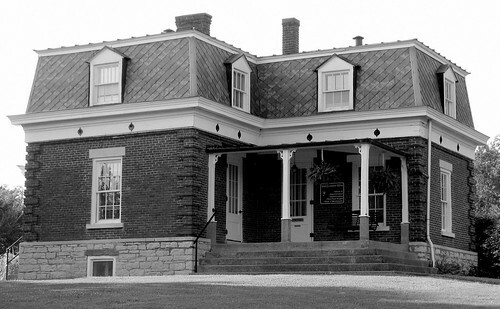 The look of the house is the same as it was in 1877 except for the addition of a kitchen and porch in 1836. Today it serves as park staff quarters. 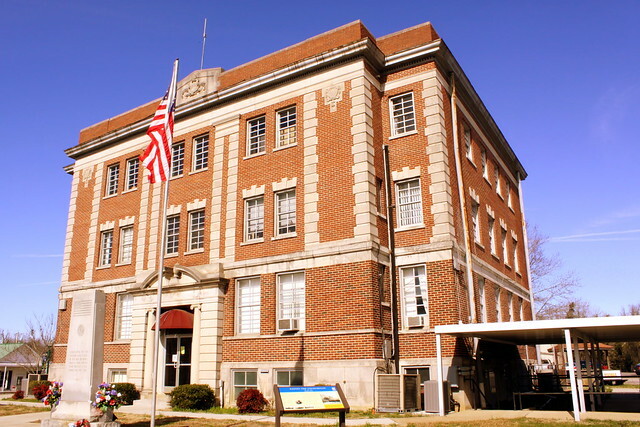 The building is listed on the National Register of Historic Places. 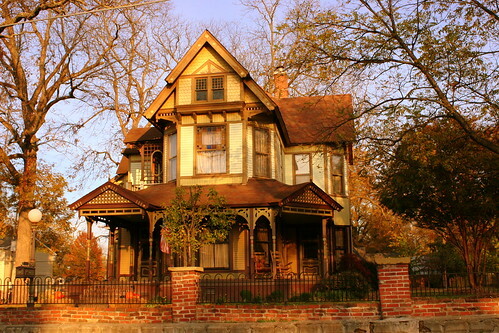 This lovely Victorian Home is located along the main road through Trenton (US45W). I'd tell you all about it, but it looks like the home's owner's have a blog where they have chronicled their journey through remodeling the home. Specifically, this was taken from the Cravens House and there was no way to get around the power lines. 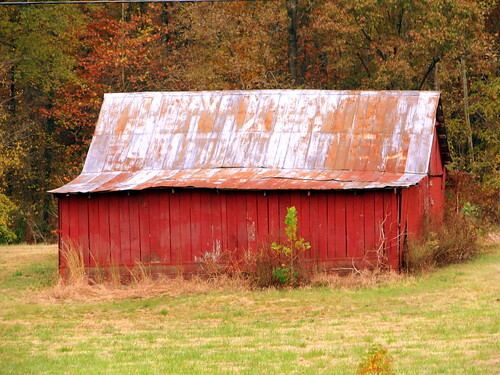 Here is a very faded advertising barn seen along US 64 in southwest Tennessee. The letters are very faded, but is looks like the top line is SAVE MONEY, the middle line is RELIABLE and at bottom is FURNITURE CO. If you stay on US64, it will take you into Somerville where according to google, there is or was a Reliable Furniture store. The barn is near the small community of Laconia. The Union Meeting House was built on this site in 1821. 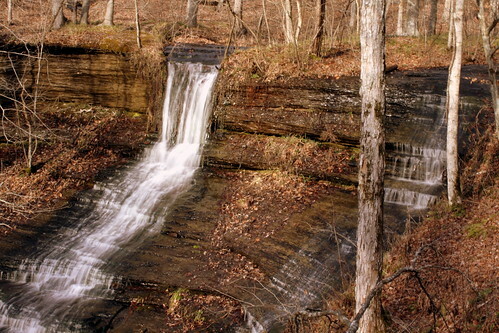 With the Restoration movement and the preaching of Andrew Craig and Joel Anderson, Lieper's Fork became the first Church of Christ south of Nashville. 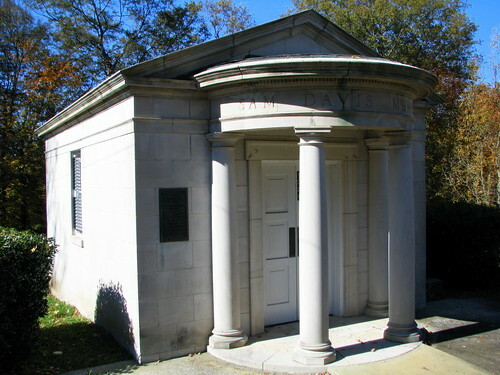 In 1831, Seth and Rebecca Sparkman were the first members to be baptized for the remission of sins. David Lipscomb led a convention of Christians, who met here in 1862, to adopt positions of non-combatants in the Civil War. Their petition to Military Governor Andrew Johnson was rejected. 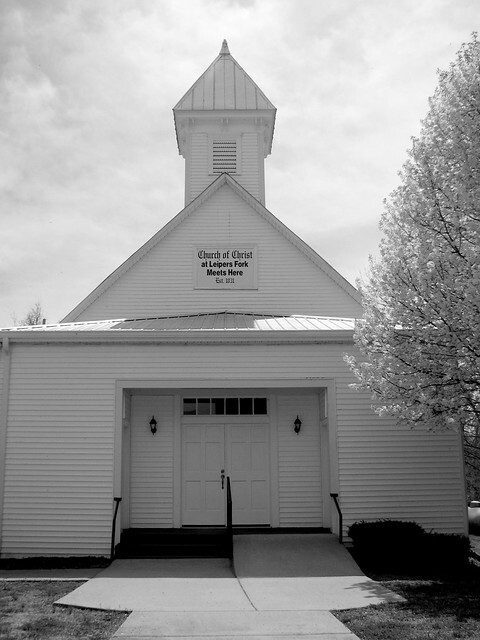 Lieper's Fork sponsored the Boston Church in 1854 and the Berea Church at Southall in 1876. 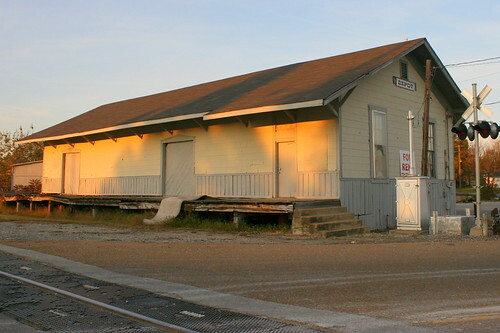 The present building was built in 1877. For a more in depth history, check this page on their website. 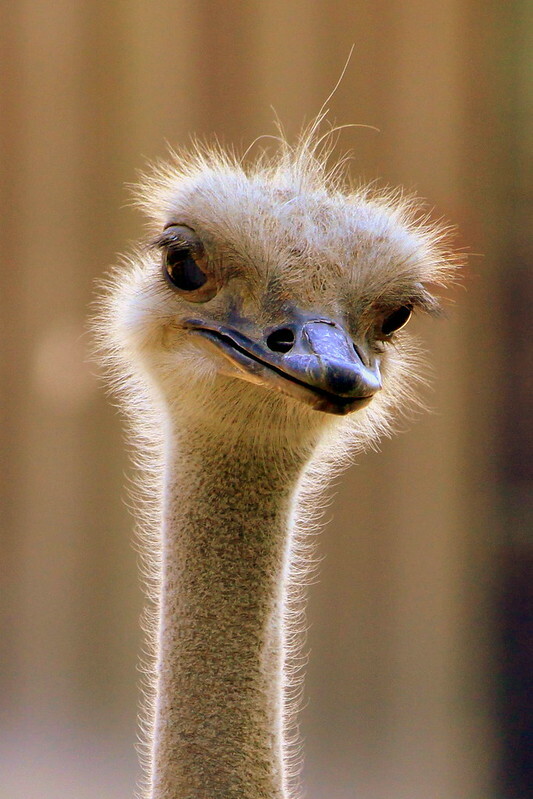 I think my favorite thing about the ostrich is of all the animals on the planet, they have the smallest brain, compared to the size of the rest of the body. While they don't bury their head in the sand when frightened, I wouldn't want to get in a fight with one. There's an impressive waterfall just to the right of this photo. Unfortunately, there's nowhere to stand to get a good tripod-mounted view of it. I brought my tripod and by golly I was going to use it! 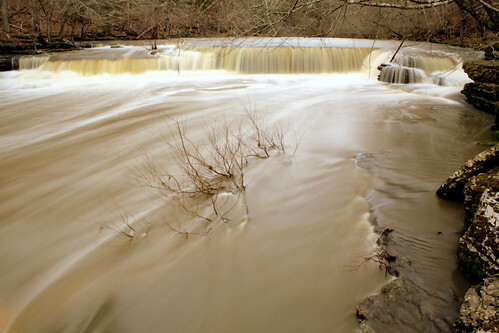 15 feet upstream from the big falls is this rather tiny 3-5 foot waterfall, but it stretches the entire width of the Duck River here. Train bridge over the Caney Fork River which is on the border of Warren and White county. At this spot, the street forms a bridge over the tracks creating this vantage point. The tracks are live and today used by the short line Caney Fork & Western Railroad. 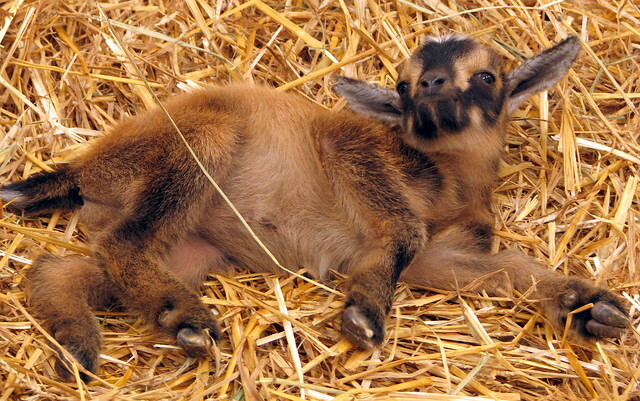 We're going to start 2013 with a baby goat! While many of this goat's siblings were resting or playing, this one wanted to pose for the camera. Seen at the 2008 Tennessee State Fair.